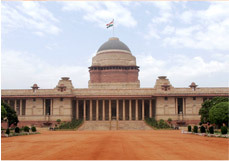 All the Presidents who have stayed at the Rashtrapati Bhavan have taken keen interest in the maintenance and upkeep of the Mughal Gardens. All have contributed in their own way. The underlying themes however have remained unaltered.